George Eiferman was born on November 3, 1925. He was, and still is, a great role model for classic Iron Age bodybuilding. George dedicated his life to the iron and to helping others learn the wonderful benefits of weight training. Eiferman joined the Navy on his 17th birthday in 1942 and began seriouse training with weights during that period. George, 40lbs heavier, was discharged on his 21st birthday in 1946 and joined Fritshe’s gym in Philadelphia. He progressed quickly eventually winning the Mr. Philadelphia title in March of 1947. With this title under his belt he decided to enter the 1947 Mr. America where he placed a respectable fifth against some giants in the field, namely the winner of the ’47 Mr. America- Steve Reeves. Eiferman and Reeves would become good friends. George Eiferman and Steve Reeves 1948 was a big year for George. After losing to Jack Delinger in March at the Mr. Western America he won the prestigious Mr. California in April. He trained harder than ever and won the Mr America title just one month later in May of 1948. This was the title of the day and a crowning achievement for the young bodybuilder. George later moved to the west coast where he was a regular at Muscle Beach and even made a movie called “Devil’s Sleep”. He also was a member of Mae West’s revue in the fifties! Eiferman began traveling the country giving exhibitions at high schools of the benefits of weight training and a healthy lifestyle. Joe Weider has said of George, “The symbol of all that is good about the bodybuilding lifestyle is exemplified by the outstanding physique and sterling example of George Eiferman”. He was known as a very friendly and humble man. George continued competing and won the overall Mr. Universe title in 1962. He also opened gyms in both Hawaii and Las Vegas. A very strong bench presser, he was known to press 405 “cold”. Not a feat to be copied, but very impressive! George was also known for having great forearms. Here are a couple tips from Eiferman for building huge forearms and grip strength. In a power rack, lift and hold a heavy barbell in a dead lift fashion. You should be using much more weight than you could normally dead lift so load the bar at just below the level at which it will hang in your hand. Grip overhand with both hands and hold the weight until your grip fails. Grab two smoooth weight plates between your fingers and thumb and practice picking them up that way. You can also load the plates onto a dumbbell for safety. These two lifts are guaranteed to increase your grip strength improve the size of your forearms. He married Gerrie and tried to catch up on his relationship with his first son Bob. George died with first wife Bonita by his side (Bonita had cared for him later in life) on February 12, 2002. 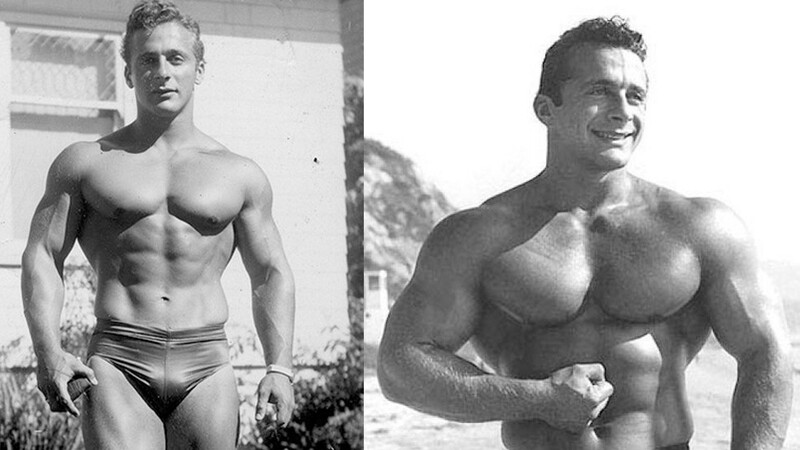 With his tremendous arms and chest, George Eiferman will be forever remembered as an Iron Age legend.